The Challenge: Re-design lighting in a multi-purpose auditorium to give users total control and ﬂexibility for a wide range of events and activities. A truly universal space is one that changes its characteristics and adapts quickly and easily to each new purpose that it facilitates. Especially in the art world, a space becomes a “setting”, a “scene”, and every aspect of that environment needs to be transformed into an appropriate backdrop for the action that is taking place. And like art, perfecting this process is no easy task. One of the most crucial elements of matching a room’s environment to its purpose is lighting. Lighting not only serves artistically as a projection of mood or feeling, but also quite simply, as a function of operational necessity. The real challenge that arises in this case is to effectively marry function and feeling, ultimately making it easy for a user to adapt a multi-purpose space so that it matches the theme of an event, all the while allowing everyone in attendance to properly occupy the space. This was the challenge that technicians, designers and project managers were facing when re-designing the lighting in the Theatre Arts building on Montgomery College’s Rockville, MD campus. 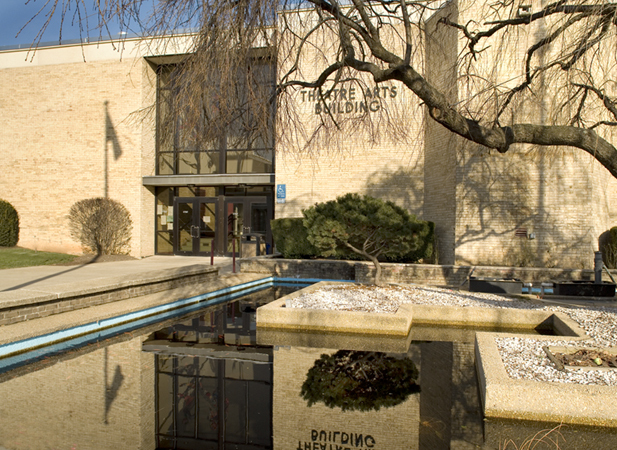 The project, started in late spring of 2007, focused on the main auditorium and its surrounding rooms, a space that hosts more than 300 events each year – everything from plays and theatrical productions to classes, lectures, and conferences. As one might imagine, the lighting system in this kind of space had to yield to the theme of each event – and it had to allow those who control it to do so quickly and easily. 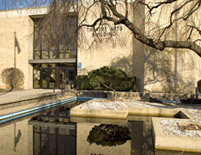 The Rockville Campus is Montgomery College’s largest, with an enrollment of 14,000 full- and part-time students. Located just north of Washington, D.C., the campus attracts tens of thousands of people each year for various events open to the public. “We needed a lighting system that was as ﬂexible as our activities.” said Project Manager Alan Yanaway. Additionally, the system needed to be easy to control, allowing all ﬁxtures to be effectively managed from one central location. They found exactly what they were looking for in the Lutron LCP128 light management system. 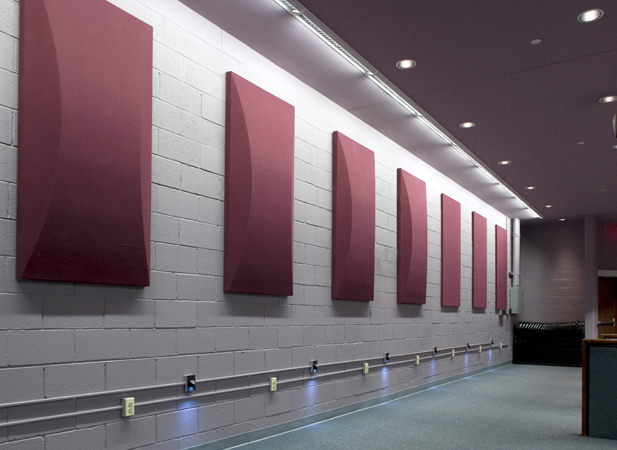 The Theatre Arts building installed Lutron pre-assembled LCP128 SpecGrade dimming panels. The entire system is easily programmed using an LCD controller mounted on the panel itself. The panel is capable of controlling several different load types, and works with Lutron Eco-10 and Hi-lume fluorescent dimming ballasts. The LCP128 system enabled those in the Theatre Arts building to limit regulation of the lighting system to their immediate need, hence giving them simple control of all dimming and switching, along with automated presets for varying events and atmospheres. Six control stations in all were installed throughout the building, each speciﬁcally programmed for their own pre-set lighting solutions. The extremely straightforward and logical nature of the LCP128 setup allowed different users at each station to seamlessly pre-set their own “scenes” according to their artistic and operational needs. “The college and the users were ecstatic over the ﬂexibility the system offered, and it more than satisﬁed their individual control needs,” said Pierre Sabourin, the electrical engineer of the project. and other higher illumination needs, and incandescent lighting to satisfy atmospheric and other lower illumination needs. LCP128 served as a perfect facilitator and management system for all of the changes that needed to be made. It created a complex and dramatic shift in lighting which greatly enhanced the look and feel of the space, all while making it easier than ever to control. Once everyone began to use the LCP128 system, they realized just how extensively they could manipulate the light in the building. Through dimming and switching from convenient locations, they could create just about any environment that they wanted. “They were happy to see the system’s ﬂexibility, and all of the sudden their imagination was taking over,” added Sabourin excitedly. “The ability to have so many possibilities is intriguing… particularly for theatrical people, who love to control their environment,” said Stephen Campanella, Theatre Production Technician and Master Carpenter for the academic theatre program. He certainly has been reaping the beneﬁts of the Lutron system in the scene shop, which he runs for Montgomery College. 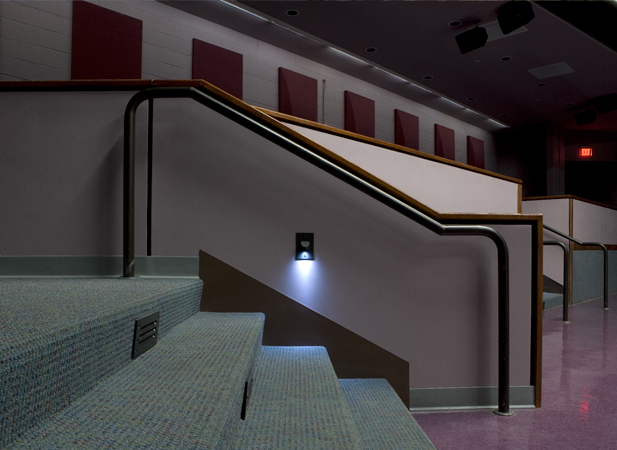 Many more beneﬁts and uses of the new Lutron lighting system will be seen when the Montgomery College Summer Dinner Theatre returns for another season. Building on a history of dinner theater in the Rockville area, the Summer Dinner Theatre runs for 6 weeks each summer. There are two shows performed each season, as the audience enjoys a full buffet and entertainment all within the same venue. 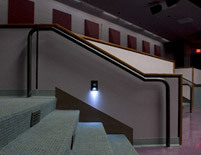 The new Lutron LCP128 lighting management system will allow the Theatre Arts building to perfectly adapt to the dinner theatre style – highlighting the performers with one form of lighting while at the same time utilizing another form of lighting to create a warm, cozy and relaxed atmosphere for the diners watching the show. This is another example of how the LCP128 system successfully manages a dual lighting solution, adding even more versatility and controllability to this universal space. There is no doubt that lighting is an art form vis-à-vis the complexities involved with its execution, the countless ways that it can be manipulated, and what it can express. The use of light for both artistic and functional purposes is more inherent in the theatre than any other application. 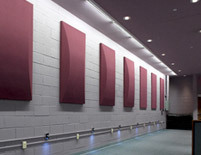 With Lutron’s new LCP128 lighting system, the Montgomery College Theatre Arts building will easily be able to provide the environment necessary for just about anything – making the building’s stage, arena and tiered platforms a virtual blank canvas with which to paint, with lighting, any scene imaginable. LCP128 Easy to design, install, and program, LCP128 is an easily configured lighting management system that offers automated presets and simple end-user control of all dimming and switching on a job.